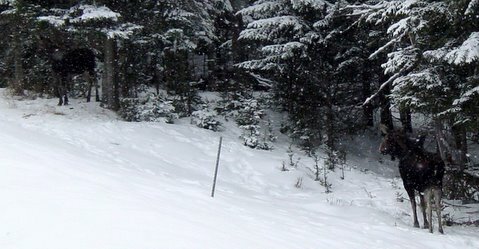 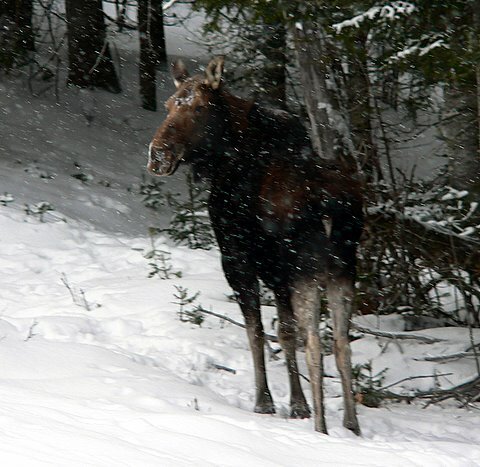 January, 2008 - We're in the depths of winter but still the moose are out & about. 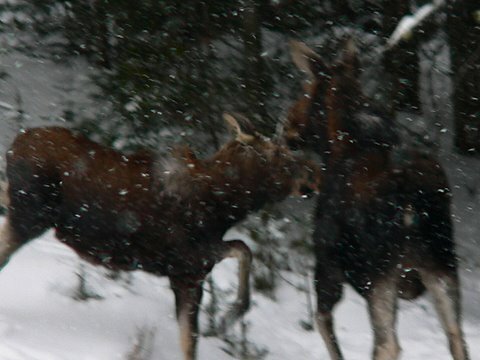 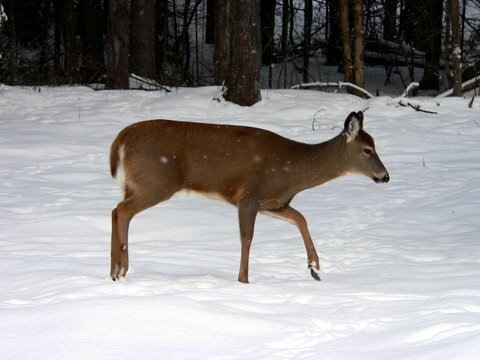 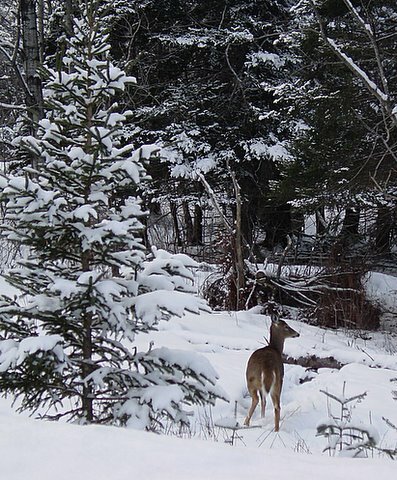 These pictures are from a trip up to New Hampshire's "Moose Alley" in Pittsburg. 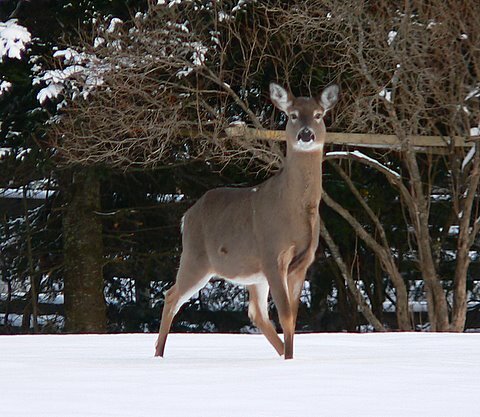 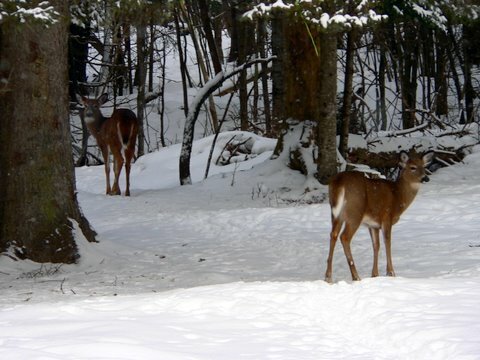 It was a good day to see deer, too. 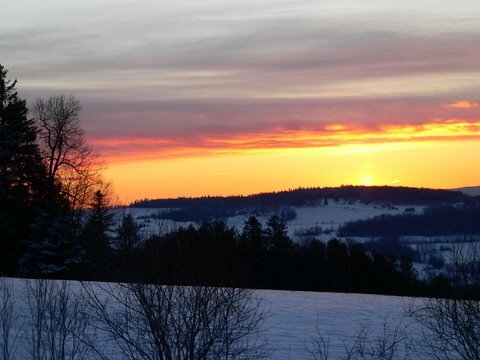 Sunset over Vermont's Northeast Kingdom - beautiful but so-o-o cold!